In honor of National Hot Dog Day, Pink’s Hot Dogs at Planet Hollywood unveiled a new celebrity hot dog. 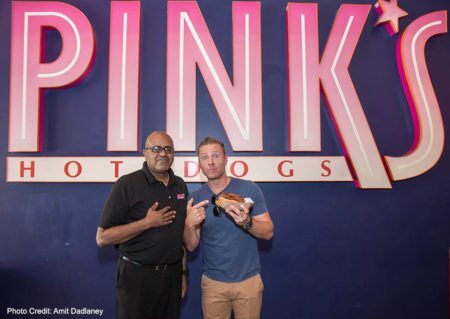 Paul Zerdin, star of “Mouthing Off,” released a new hot dog dedicated to his Strip resident production, available exclusively at one of Las Vegas’ favorite hot dog spots. 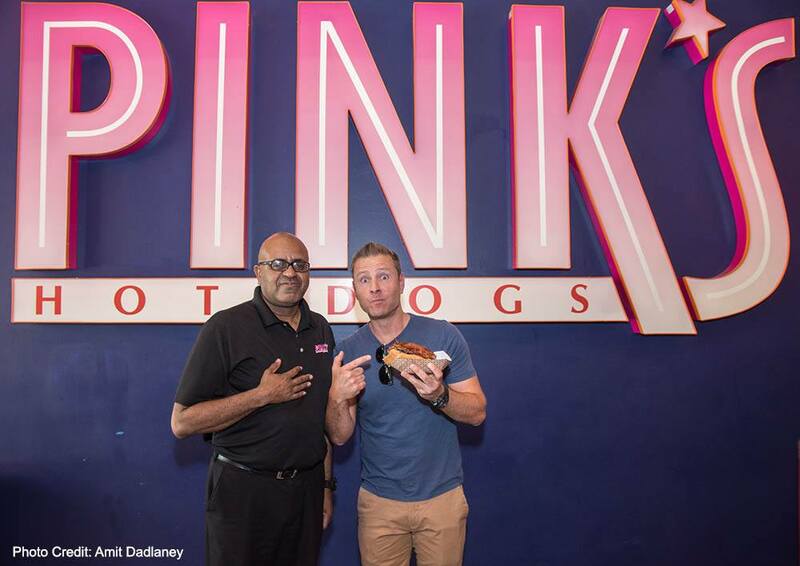 The ‘America’s Got Talent’ season 10 winner Paul Zerdin will join Pink’s Hot Dogs iconic wall of fame alongside other celebs who have created their own hot dogs, including Kim Kardashian, Holly Madison and Brad Garrett. Zerdin’s hot dog is inspired by his smash-hit residency at Planet Hollywood and features pastrami, chili, bacon, mushrooms and tomato for $8.99. Save $20 on Paul Zerdin: Mouthing Off Tickets Now!